Vacqueyras is harmony. 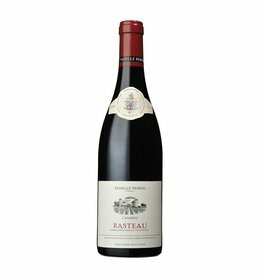 This soft red wine from the foot of Mont Ventoux is, like its neighbors, from the Mediterranean grape varieties Grenache Noir, Mourvedre and Syrah. The Domaine Fontaine du Clos of the family Bernier, produces a silky soft Vacqueyras with the typical spiciness of the southern Rhône wines, the wine is "warm", opulent and supple, the extract is almost oily, the tannins are very round and well integrated. The 2015 Vacqueyras has aromas reminiscent of black cherry and blackberry. You can enjoy it young, but good Vacqueyras also benefits from bottle ageing.